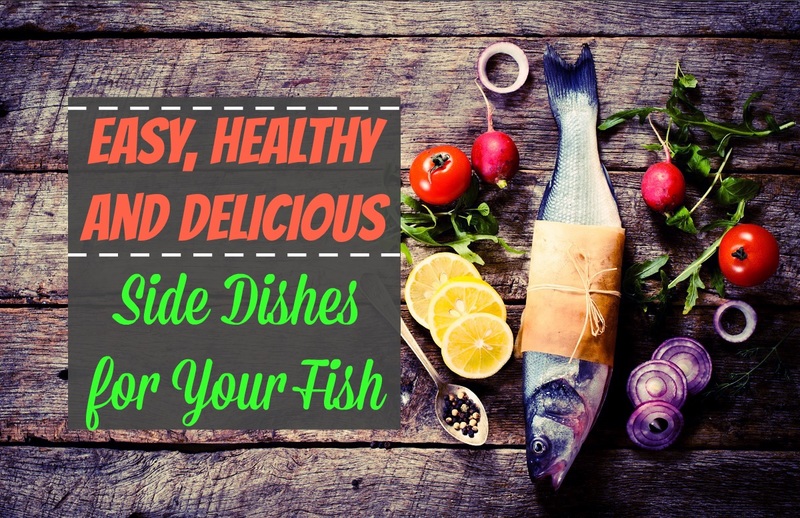 Everyone is by now familiar with the health benefits of eating fish. 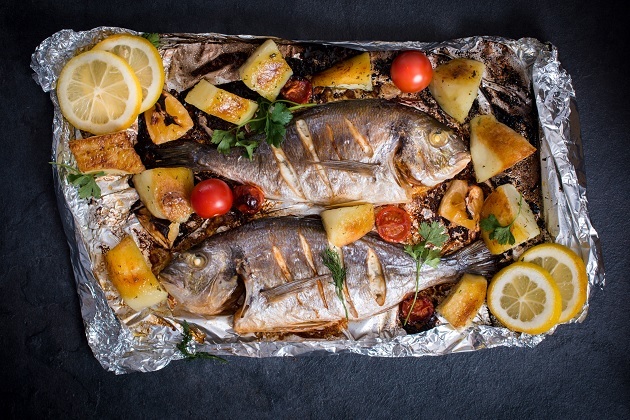 They’re posted all over the place from the American Heart Association – who recommend eating fish twice a week – to Healthline touting the wonder-protein as the potential cure for (almost) all your ailments. What do I make with my fish? Fortunately, there are a ton of great side dishes that are both delicious and healthy. 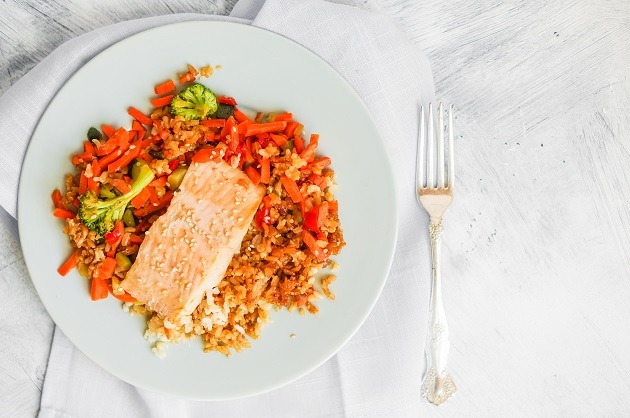 Whether you go with salmon, cod, halibut, tuna, or trout, here are a few favorites that are sure to be a hit in your kitchen. 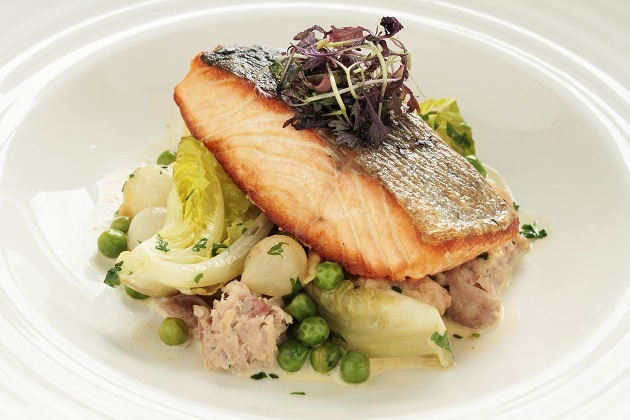 Vegetable medley is a great addition to your fish dish – but forget steamed veggies. Brocolli, cauliflower, and carrots are an example mix that tastes great. Take your veggies, spread them in an even layer on a baking sheet. Drizzle with vegetable oil and sprinkle with lemon pepper or Herbes de Provence, and bake them for about 40 minutes at 400°F. Asparagus is a polarizing vegetable – people seem to either love it or hate it. If you’re grilling your fish, save yourself some cleanup and toss the asparagus on alongside. Snap the ends off of the stalks, toss them in olive oil, salt and pepper, then grill until browned – about 15 minutes. If you’re not grilling your fish, it’s a bit of a waste to fire up the grill just for your asparagus, no matter how delicious they are. Cook them on a cast iron skillet over high heat for about 10-15 minutes, turning continuously for even cooking. Or, line them up on a baking sheet and bake for about 25 minutes at 400°F. Sweet potatoes are unreasonably delicious – especially considering how healthy they are. They make a great side for your fish either baked or mashed and are versatile enough to eat sweet or savory. To bake them, pierce with a fork all over, rub with oil, and bake for 45 minutes at 400°F for 45 minutes. Serve sprinkled with cinnamon with a dollop of plain greek yogurt on top. To mash, boil until tender (typically about 30 minutes) then blend or whisk together with your choice of flavors. Milk and/or butter will make it creamier. Sweet mash calls for a pinch of salt, honey or maple syrup, cinnamon, nutmeg, and clove to taste. Savory mash calls for smoked paprika, garlic and onion salt. Leftover mash can be saved frozen for up to 12 months. 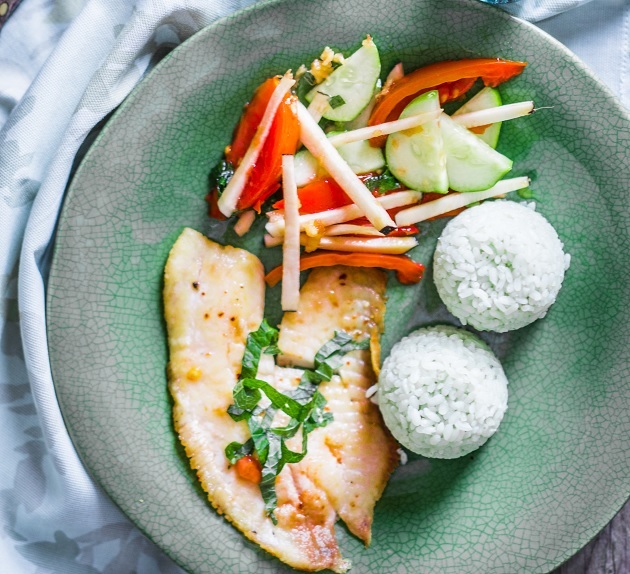 The most common side dish for fish is, of course, rice. If you don’t keep rice in your cabinet, you need to. Pack your rice with even more flavor and nutrients by cooking it with vegetable or chicken stock instead of just water. If you get tired of plain old rice, try it with lime juice and cilantro, or turmeric and garlic powder. If you have a rice cooker, they are far and above the best way to cook rice. The key to making delicious rice all the time, every time, is to rinse it. Rinse your rice thoroughly – four or five times or until the water no longer looks milky. Supposedly, one could cook rice on the stovetop with a saucepan and black magic (boil two cups of water, dump in one cup rice, simmer until the liquid is all gone then cover and let steam for 10 minutes) – but if your short on black magic or time, try the microwave method. Put your cup of rice into a microwave-safe container, with plenty of room for your rice and water to expand and not explode all over your microwave. Cover with about one finger of water – that is, water completely covering your rice, with one finger width between the top of the water and the top of the rice. Finger width, not finger length. Then, microwave on high for about 12 minutes, stirring halfway through. Let sit until it no longer burns your mouth (about 5 minutes), and dig in. Firmly in the higher effort/more prep category is quinoa salad. Quinoa salad is a delicious, good for you, no guilt side, but the “salad” part of the name tricks people into thinking it’s quick to make. For your salad you will need two cups of quinoa, two bell peppers (preferably different colors – like one orange and one yellow), cherry tomatoes, one avocado, one cucumber, two celery stalks, olives – all chopped up into itsy bitsy pieces and tossed together with feta cheese and a little olive oil or rice vinegar if you like. If you don’t want to chop up and mix all that, quinoa is actually quite tasty on its own. To make Tasty Quinoa, first rinse your quinoa! Quinoa has a natural coating called saponin which will make your finished dish taste bitter or soapy if you don’t rinse it off. After rinsing, toast your quinoa by tossing it in a lightly oiled pan over heat for about ten minutes. It may pop at you, do not be alarmed. Then add 2 cups of water or broth per cup of quinoa you’re cooking, bring to a rolling boil. Turn the heat down to low, cover and cook for 15 minutes. Let stand covered for another 5 minutes before you fluff it with a fork and serve it by itself, or transfer to a dish and refrigerate for your quinoa salad. Build your side dish repertoire with healthy sides like these, and eat exciting delicious food so your family never has to suffer boring old steamed veggies again. Research: Does Watermelon Make You Poop?